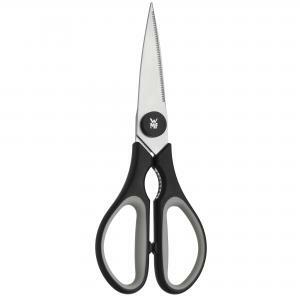 Durable and sharp stainless steel blades. Handles made of synthetic material with soft, comfortable grip. Ridges/serration on the outside of the blade helps to keep goods in position during the cutting process. 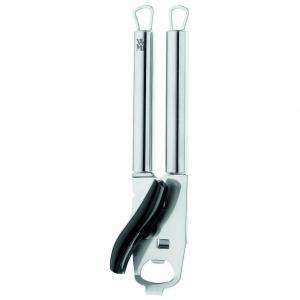 Ridges in the center of the handles have a screw opener function. Colors coordinate with the Touch All-Purpose Knives. This can opener is really multitalented. Just place it on the edge of the can and turn till you can lift the lid. The hardened cutting edge guarantees a clean cut. At the head there is an opener for crown caps and you can lift up vacuum tops with the front point. "Profi Plus" is a range of more than 100 different kitchen gadgets meeting even the highest demands of professional cooks. The heavy design in high-grade Cromargan: 18/10 stainless steel is absolutely stable and durable, watertight, perfectly dishwasher-safe – that is: just indestructible. The design which is both sophisticated and timeless fits into every modern kitchen. 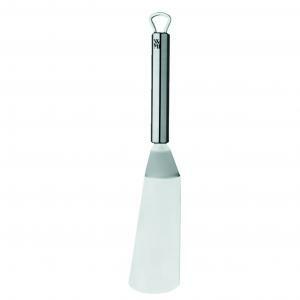 Profi Plus is a range of more than 100 different kitchen gadgets meeting even the highest demands of professional cooks. The heavy design in high-grade Cromargan: 18/10 stainless steel is absolutely stable and durable, watertight, perfectly dishwasher-safe – that is: just indestructible. The design which is both sophisticated and timeless fits into every modern kitchen. You can take out apple cores in a jiffy with the serrated edge. Fill in chopped nuts and some honey and put it in the oven. "Profi Plus" is a range of more than 100 different kitchen gadgets meeting even the highest demands of professional cooks. The heavy design in high-grade Cromargan: 18/10 stainless steel is absolutely stable and durable, watertight, perfectly dishwasher-safe – that is: just indestructible. The design which is both sophisticated and timeless fits into every modern kitchen. 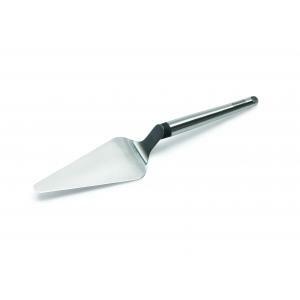 This narrow turner is just one of the high-quality Profi Plus tools WMF makes for every conceivable kitchen task. Contemporary European in style, the turner measures 11" long overall. Seamless construction ensures cleaning ease. "Profi Plus" is a range of more than 100 different kitchen gadgets meeting even the highest demands of professional cooks. The heavy design in high-grade Cromargan: 18/10 stainless steel is absolutely stable and durable, watertight, perfectly dishwasher-safe – that is: just indestructible. The design which is both sophisticated and timeless fits into every modern kitchen. This elegant pierced server will look beautiful on your table whether it's being used or not. This piece brings pleasure to the eye. 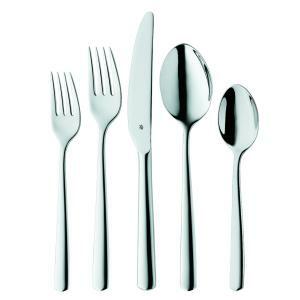 Made of Cromargan® polished 18/10 stainless steel. 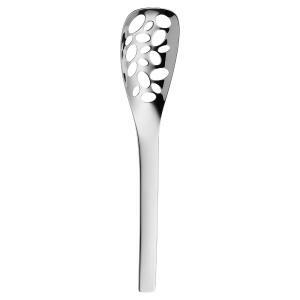 Its pierced design allows for juices to flow back into the serving bowl, but the pierced bowl of the spoon is big enough to allow it to serve a generous portion. 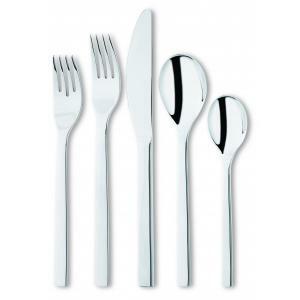 The flat polished handle design will blend with existing flatware easily. 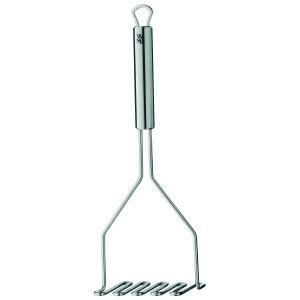 Tasks such as preparing, cooking and serving are made easy with the right tools. Profi Plus has the perfect tool for every task! 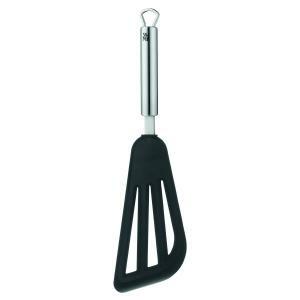 The WMF Profi Plus 13" Silicone Long Turner has slots that make it ideal for separating food from oil. The base is 18/10 stainless steel with a scratch-resistant silicone finish that will not damage non-stick cookware. New and excitingly different – KAISER PERFECT offers exclusive baking accessories to please even the most ambitious amateur bakers. It captivates with its elegant design and convinces with its uncompromising high-quality materials. 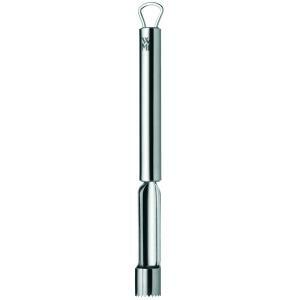 All stainless steel and silicone parts are joined seamlessly, completely watertight, rustproof and dishwasher safe. 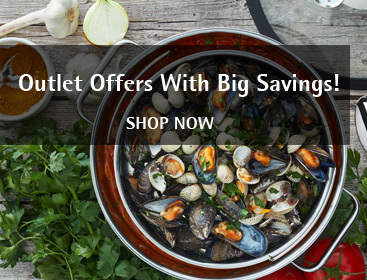 Due to their technical advantages pressure cookers have become simple and easy to use! 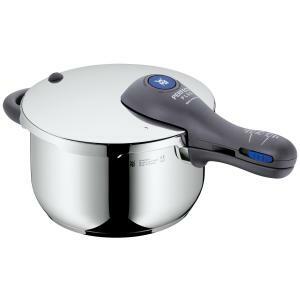 The Perfect Plus pressure cooker is known for its residual pressure locking with colored indicator, flame prevention for all pot handles, and the TransTherm® universal base. To clean the handle, just remove it and hold it under running water. All pressure cookers are accompanied by operating instructions and a separate cooking time-table. Pressure cookers are your fitness center for culinary pleasures. Whether vegetable, potatoes, whether fish or meat, sliced or en bloc, whether roasting, braising, stewing or steaming … Perfect Plus manages everything. Use the pressure cooker to cook soups and stews, to sear and braise meat, to stew or steam vegetable, fish, poultry, to prepare several side-dishes or a complete menu at the same time, to defrost frozen food, to boil down fruits, vegetables, meat and much more. Even light diet dishes are prepared easily. More aromatic - When cooked in their own juices, ingredients keep their individual flavour. Gentler - Shorter cooking times and the hermetically sealed cooking method retain more valuable nutrients. Simple operation - Putting on the lid easily, large and good visible cooking indicator with two cooking levels, and 3 different methods of opening the pot after cooking. 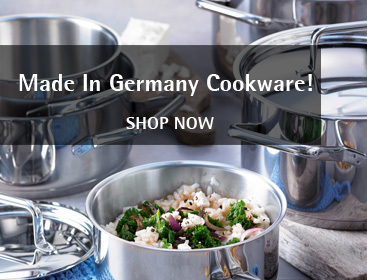 Safe technology - All pressure cookers are completely safe and bear the GS seal as well as the CE sign, 5 safety features more than requiRed, and Guaranteed availability for spare parts. 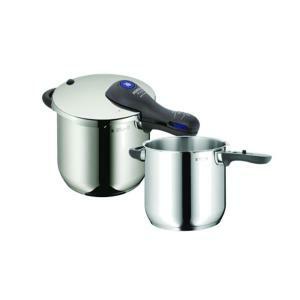 To read more about Perfect Plus Pressure Cookers click HERE.